….. and you feel like you’ve tried EVERYTHING, then perhaps it’s time to take a look at our 12 Weeks to Wellness Program. What’s the Twelve Weeks to Wellness Program? 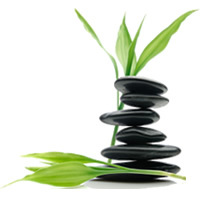 At Simply Natural Therapies we understand you are unique and an individual, and we believe your treatment should be too. During our 12 week program, we start with a comprehensive 60-minute assessment gaining knowledge of all areas of your life. We deeply understand your situation, your issues, your motivations, your goals and how your condition is affecting you. What you have tried so far, and what has and hasn’t worked. Once we have a clear picture of what’s going on, we customise a 12 Week Program combining the services of 2 or 3 of our exceptional natural health practitioners. Typically, you would have 4 sessions with each practitioner. Experience has shown us that 2 or more practitioners working together to support you the outcomes are significantly better for overall wellness, and we have been getting remarkable feedback from our clients. Why did we develop this program? We consistently see two major problems when it comes to seeking help with chronic health conditions. If your GP can’t help they will send you to a specialist. Depending on your symptoms it might be a Rheumatologist, a Neurologist, a Gastroenterologist, Gynaecologist, Endocrinologist or a Cardiologist etc. Your body and all of its systems will be explored and tested extensively (and expensively). They will zoom in with their microscopes and will be looking for a diagnosis in their particular field of expertise so they can help you. Unfortunately they rarely look holistically at your collection of symptoms and the true underlying cause. If they can’t help you, they will send you back to your GP and then on to the next specialist. Doctors need a diagnosis so they know how to treat you. Of course this treatment is usually some form of medication or perhaps surgery. Sounds reasonable? In some cases that’s correct but often they fail to see the big picture. They forget that the mind, body and soul are all intricately connected and that many chronic health problems such as stress, anxiety, depression, chronic pain, etc. are caused by your environment, your circumstances or your lifestyle. In fact, did you know that 60% to 80% of all health conditions are caused by stress, our toxic environment and poor nutrition! These things can’t be fixed with medication or surgery. This is why we recommend to seeking alternative or complementary therapies in conjunction with your medical practitioner. If you’re wanting to treat yourself naturally, the maze of natural therapies can be confusing, time consuming and expensive. How do you know what natural therapies will work? Where do you find someone who will look at the whole picture and see you as a whole person? See what one of our clients has to say about our 12 Weeks to Wellness Program….